Four dovetailed, full extension drawers create exceptional storage in our South Hooksett Dutch Pantry, which also boasts bilateral display cabinets. Breathe some new life into your living or dining space with our handmade South Hooksett Dutch Pantry, shown with four dovetailed drawers and two glass display cabinets. Using the finest American hardwoods and mortise and tenon joinery, your pantry will Amish handcrafted to order. 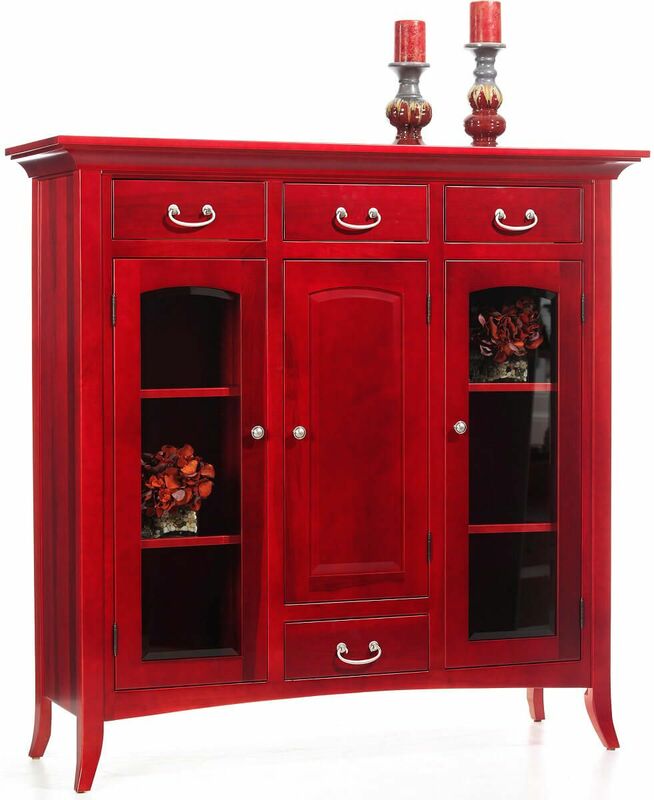 A red specialty paint over Brown Maple makes a distinctive Contemporary impression on our South Hooksett Dutch Pantry. 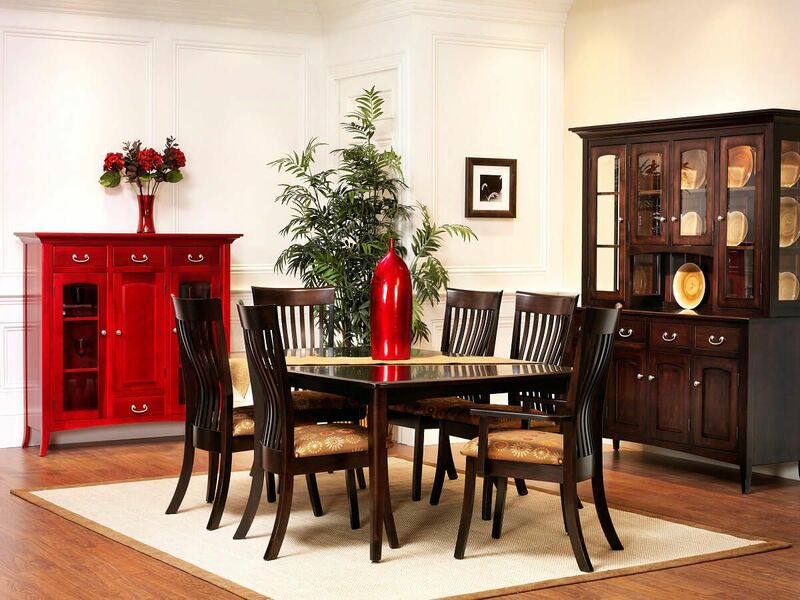 Whatever finish you select, your dining room display case will be topped with our industry leading catalyzed conversion varnish for longevity.